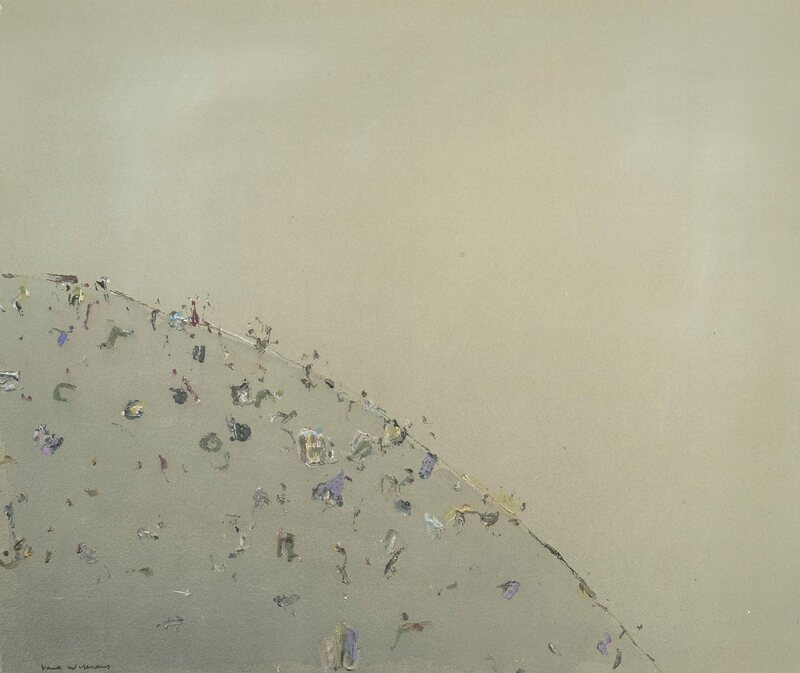 In 1969 Fred Williams made a number of landscapes distinctive for their matt, opaque ground which he painted first and allowed to dry completely, before applying further marks upon the surface to create an image. These works are characterised by an increased flatness and abstraction and led to the austere Australian landscape series of the same year. Signed l.l., pen and black ink "Fred Williams". Not dated.